I don't really post nail art that often and truth is, with a very serious job, there are very few nail art looks that I'd actually wear on a daily basis but Born Pretty Store carries so many amazing supplies that I couldn't not make an exception! I really like the apple and heart shaped glitter although they tend to stick a bit too much out of the nail for my taste but what I really love is the hex glitter and microbeads. 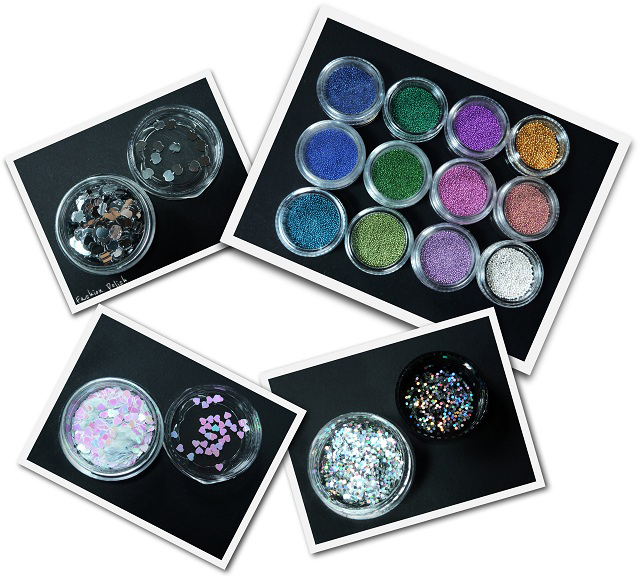 Bonus : these pots hold a lot of glitter!!! Don't forget to enter S10X31 during checkout for 10% off discount, valid until Sep13th, free worldwide shipping. 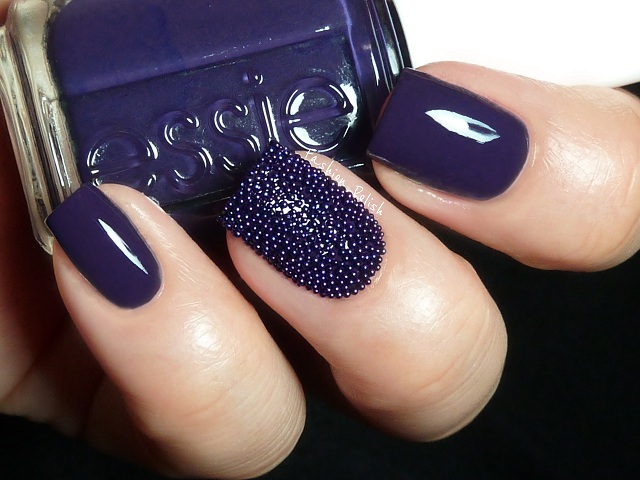 I love the "caviar" mani and the hex mani too. Did the little beads stick well or fall off easily? 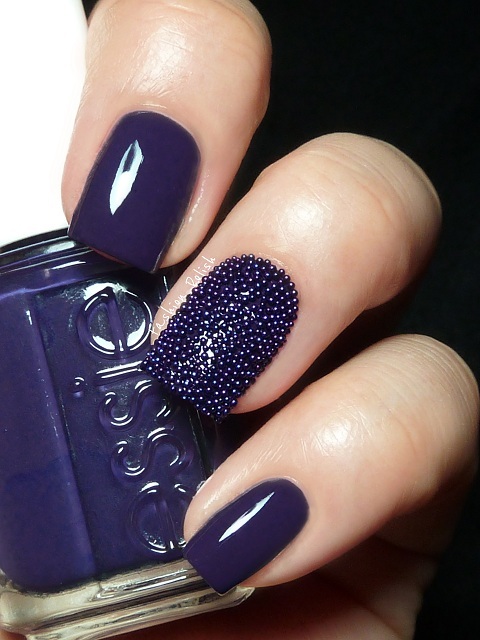 What color is the purple Essie? 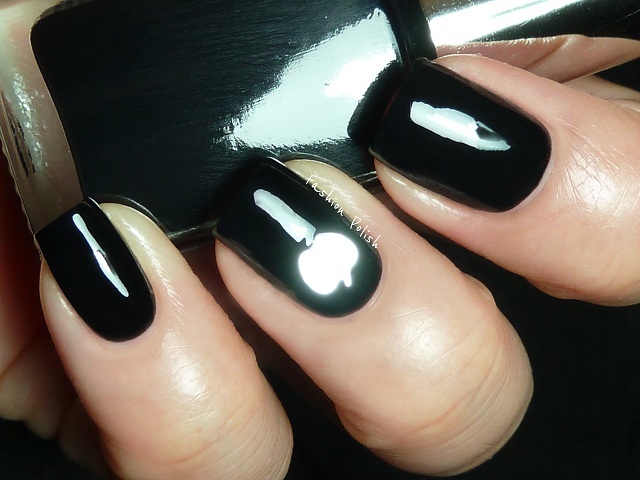 Your nails are absolutely beautyful! Wow. These look really good. Love the one with the little dots. 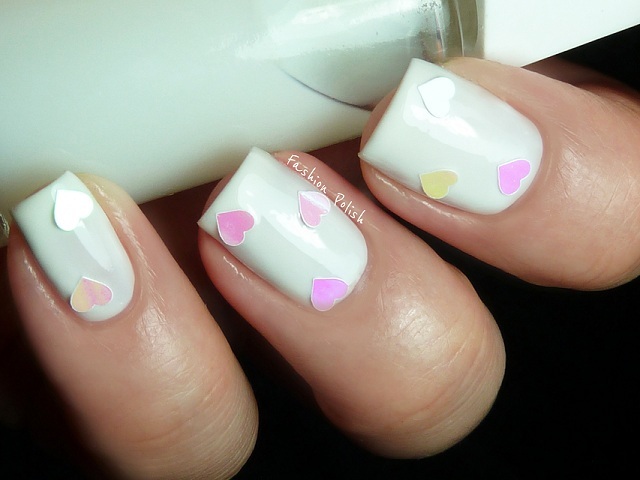 I really like the heart mani. Was the base Essie Da Brush? 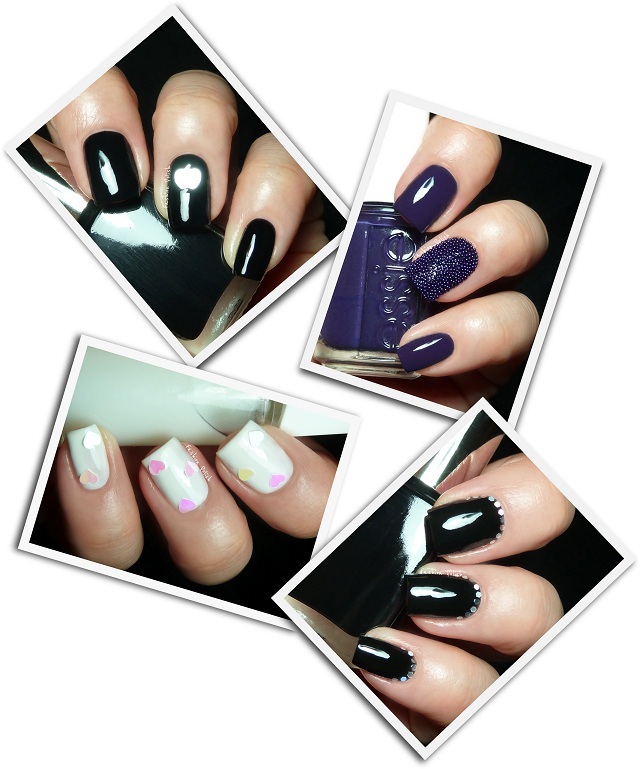 I love all your manis! My favourite is the caviar one!